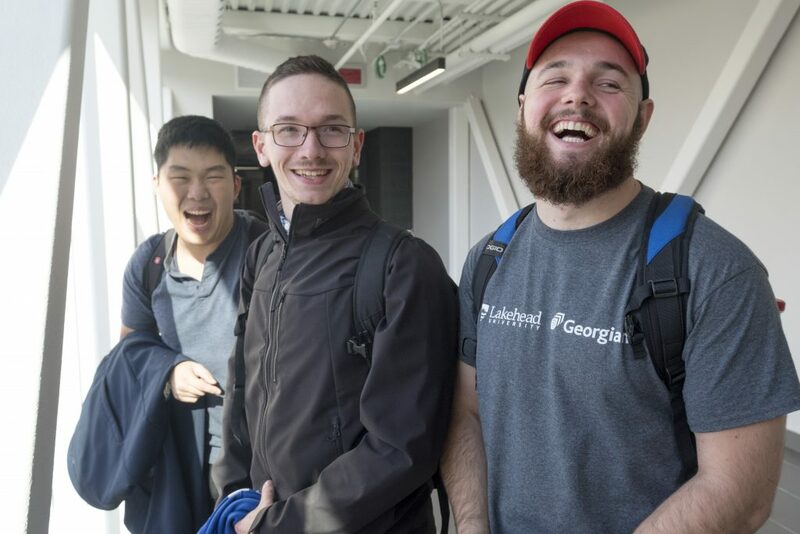 Why did you choose Lakehead-Georgian? 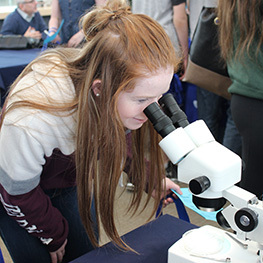 I liked that it was a partnership program and I was able to get the hands-on experience and college technology and resources were accessible. It would provide me with better opportunities. I also knew the class sizes would be small compared to other programs. Another big decision factor was it was close to home. What made you interested in engineering? In high school I was really into science and this program specifically was the perfect bridge for hands on experience and theory knowledge. I liked the idea of learning the science and then applying the knowledge. I see this program and industry as a bridge to a career. When I graduate I will have more applied knowledge to support the theory I’m learning. Another interest is the use of the software – you need to keep up with the industry demands. In this program we have a lot of technology available to us so it really helps with applying what we learning in the classroom to our labs. The support you get from your faculty and the feeling of community. 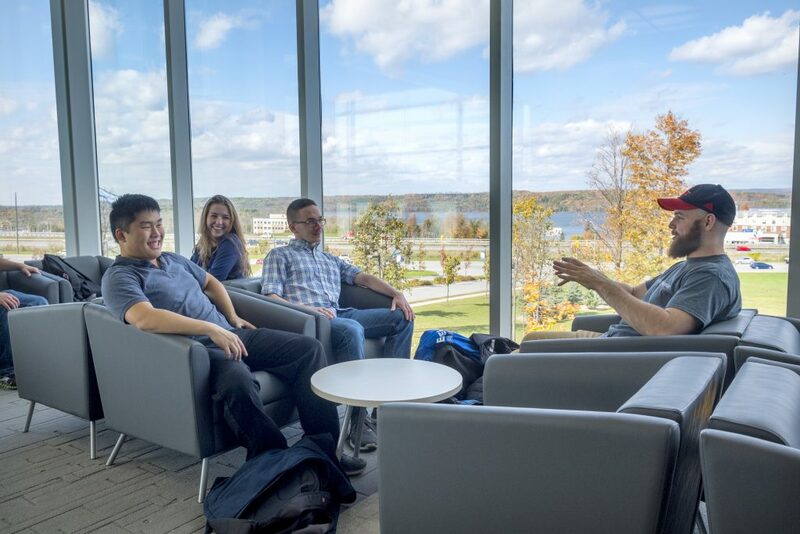 Everyone knows each other and your faculty are very welcoming. We can drop into their offices at any time and it wouldn’t be an issue. You have a lot of support in the program. I also really like the campus a lot. 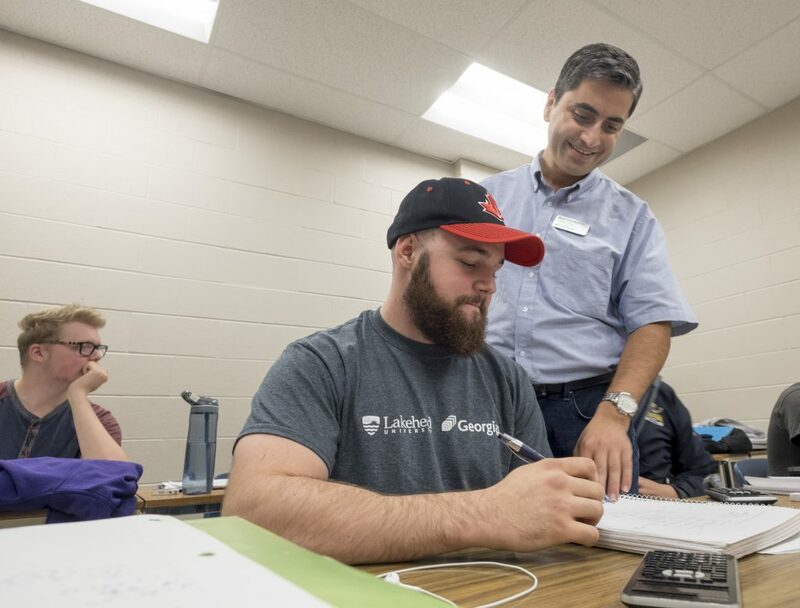 As an engineering student I will be at Georgian College Barrie campus during my entire study. 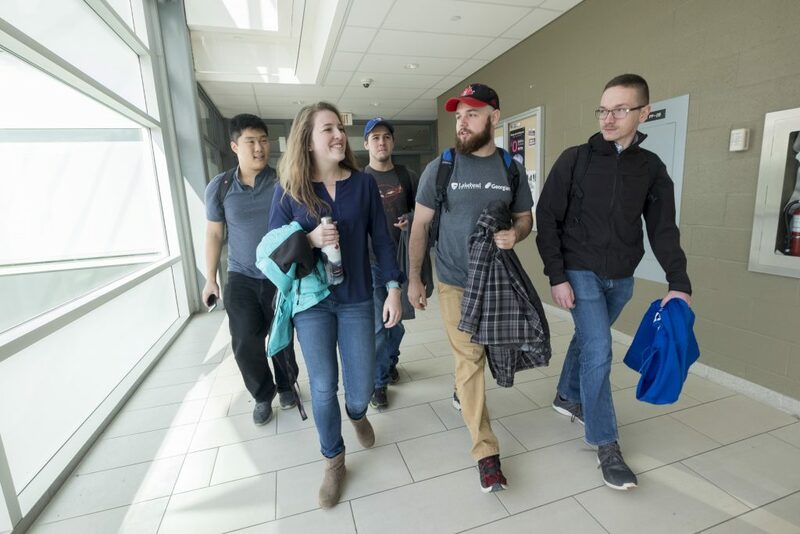 There is a lot available to Lakehead-Georgian students here. If you were to recommend this program to a friend, what would you say? I actually did recommend this program to a friend and they applied and got accepted. I would reinforce they get a diploma and degree and the benefits of each. I would also talk about the accessibility to technology such as the anechoic chamber in the Peter B. Moore Advanced Technology Centre and all the labs (example: robotics, CNC, etc.) throughout the campus. 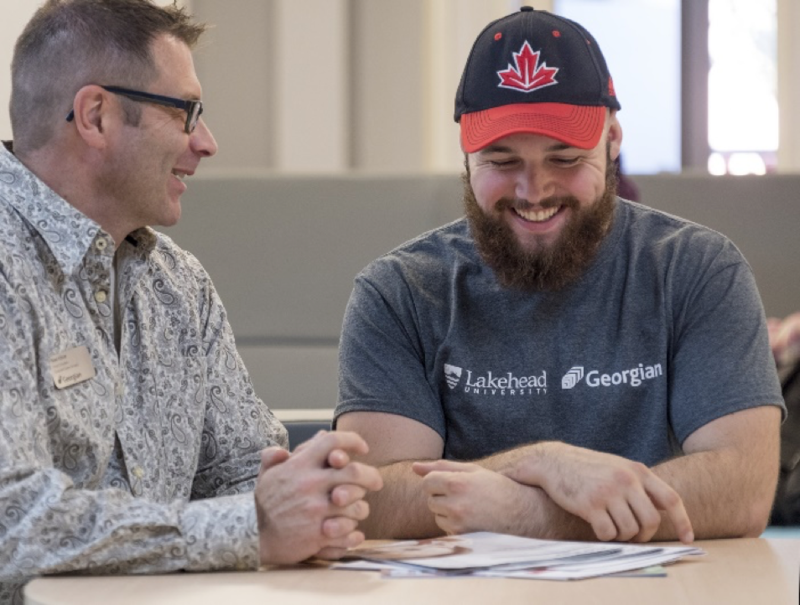 What advice would you give to future Lakehead-Georgian students? Make sure you are picking the environment you are comfortable in. Don’t just look at the school but the community. Take a tour of the community and get a sense of the environment. Also, work hard and step out of your comfort zone. It was a win-win situation to pick engineering because I could go into medical school afterwards or be an engineer. I have options.